« OS X 10.10 Designed for Retina Displays? 5.5-inch iPhone 6 Will Feature Sapphire Display, 4.7-inch iPhone and iWatch - Won't? As you probably know, a rumor has recently appeared on the Internet suggesting that both 4.7-inch and 5.5-inch iPhone 6 models as well as iWatch will be equipped with a sapphire-covered display. According to a new rumor, the only device, which may get a new screen is Apple's 5.5-inch iPhone. The reason for such a change is manufacturing problems, Economic Daily News reports. According to the report, the smaller 4.7-inch model will continue to use Corning's Gorilla Glass and represent the bulk of shipments for the new iPhone. If to speak about the displays for Apple's iWatch, they will be manufactured by LG. These screens will be about 1.3 - 1.6 inches in size. LG engineers managed to make them incredibly energy-efficient. 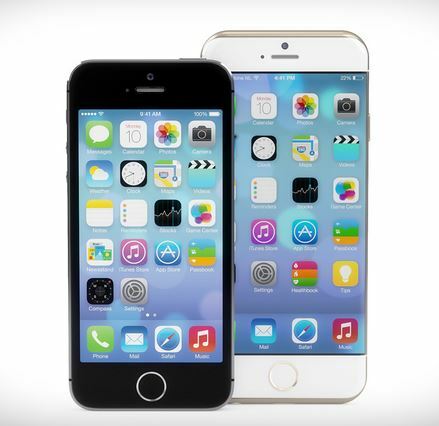 The release of the iPhone 6 with 4.7-inch screen and the iWatch will reportedly take place this fall. As to the larger iPhone, it may be announced at the same time with the gadgets mentioned above, however, it won't hit the store shelves until December.